How many times have you heard the adage "Location, Location Location - Location is Everything!" well in terms of Real Estate it couldn't be truer, but it's also true in the telling of history. Take for example the captured German 10.5cm K14 Cannon located in the square in Hopewell Cape, not only do we know what battle it was captured in, and who captured it, but we know the exact location on the battlefield where it was captured, and can visit that location today via the web. We have to thank the men of the 27th Battalion for keeping such detailed records of their accomplishments on that snowy day in April almost 100 years ago. 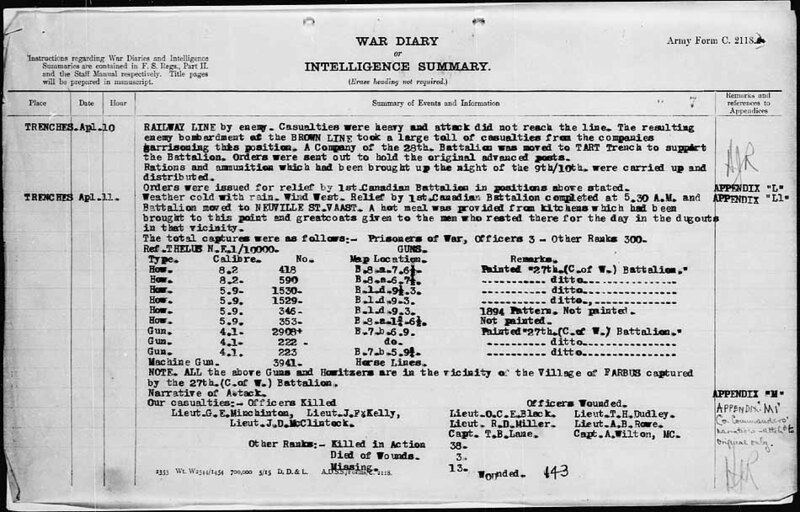 From their Battalion diaries, in the Intelligence Summary we see the cannon with the serial number 590 was captured at B8.a6.7.1/2 on the Thelus N.E. 1/10000 map. (The map is shown in the photo gallery). Once we find the spot on the map, we can then correlate it to a modern map via Google Earth, and can almost pinpoint it's location today. If we look at the large map we can see the road still has the same curve, the forest is still there on the right, and the left. 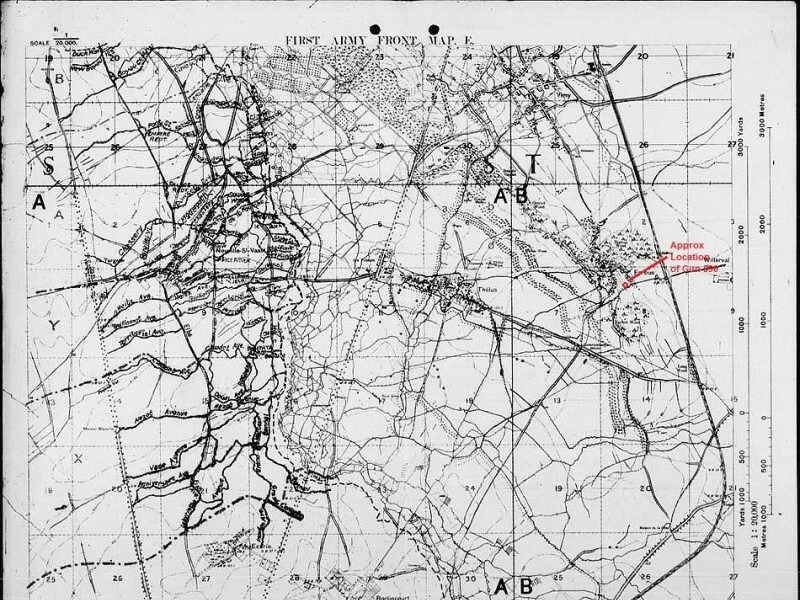 The basic flora and topography of the map in 1917 is the same today. Then we zoom in to road level we can see that where a tool of mass destruction stood in 1917, a child's playground now stands. It's amazing that we know so much about an event that happened almost 100 years ago.